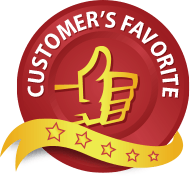 This is a complete review of Omega-3 Premium, a maximum strength Omega-3 supplement. After reviewing the product, we have determined Omega-3 Premium is one of the best available Omega-3 supplements because of its composition. It contains the recommended dosage for Omega-3 supplements, including 800 mg EPA and 600 mg DHA per daily serving, with a 1500mg total of Omega-3 per day. As is necessary for maximum results, it is 100% pure and does not contain any pollutants. It has the added benefit of leaving no after taste. Continue reading for more information on Omega-3 Premium. To achieve maximum results, Omega-3 Premium recommends you take 1500mg of Omega-3’s per day. This equates to 1 capsule, twice a day as a dietary supplement. You should take the capsule with a full glass of water about half an hour before a meal. 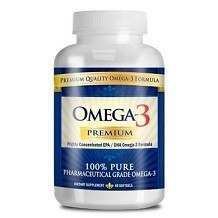 At this time, customers have not reported experiencing any negative side effects of taking Omega-3 Premium. However, it is important to remember not to exceed the recommended daily dosage. You are not advised to take more than 3000mg per day. Omega-3 Premium can only be purchased online and offers multiple packages to meet your financial and health needs. One bottle provides you with a one month supply of Omega-3 Premium and can be purchased for $49.95 plus shipping and handling. This is a discount from its usual $60.00 per bottle. Purchase a 3 month supply (3 bottles) for $90.00. The per bottle cost is only $30.00, effectively letting you buy 2 bottles and get 1 for free. Purchase a 4 month supply (4 bottles) for $112.00. The per bottle cost is only $28.00, effectively letting you buy 2 bottles and get 2 for free. Purchase a 6 month supply (6 bottles) for $138.00. This package is their top seller, cutting the per bottle cost to $23.00. Essentially, you can get 3 bottles free for every 3 bottles you purchase. Omega-3 Premium recommends this package because it is the best value and with its 90 day guarantee, you can still obtain a full refund if you are unhappy with the product. Omega-3 Premium is confident you will be happy with their product. However, they do offer a 90 day risk free money back guarantee if for what ever reason you are not satisfied. To obtain the refund, you must return all bottles purchase (opened and unopened included) and your money (less shipping and handling) will be returned. Compared to its competitors on the market today, Omega-3 Premium is a very good choice. It contains a higher dosage than other brands as well as the only vegetarian capsule options. Omega-3 Premium also offers a longer guarantee to its costumers, although they don’t believe many will want to return it. With the affordable pricing, customers can use Omega-3 Premium to experience improved heart and cognitive health.